Posted on November 21, 2018 by Tish Farrell	This entry was posted in Architectural History, Heritage and tagged Chatsworth, Dan Cruikshank, Dukes of Devonshire, Thursday's Special, Tish Farrell Writer. Bookmark the permalink. I like the rant. I like the photos. I share many of your doubts and frustrations – nay, grumpiness! Even us history and heritage-lovers sometimes stop and think that money might be better spent. I do believe, though, that if you want a head of state the UK’s is pretty good – and very hard indeed to beat. Much of my ire these days is actually directed at large corporations – BT, Virgin, insurance companies, government departments etc. They are the ones that bully and bribe people mostly – all of us, actually, but especially the vulnerable. I keep meaning to write an article about it (working title ‘The New Serfdom’) but am constantly side-tracked writing about heritage and so on..! Interesting! And such a huge budget! Thanks for that, Sue. I think I’ve become a very grumpy woman – at least over some matters. The French had the Guillotine, but maybe this is a bit drastic? Funny you should mention that, Ark. The notion did enter a conversation between G and me earlier today. ”Off with their heads!” said the Queen of hearts. Which rather seems like looking at the problem barse ackwards. Love your visits. I can understand the ticket price. Up-keep must be out of site. That is a point, Beverly. On the other hand they seem to be spending 32 million on restoration including putting real gold on the outside window frames, and roof finials! I was thinking along similar lines recently about America’s obsession with grossly over paid celebrities. Why do we do this? It seems like a disrespect for self, this obsequious worship of the more non-meritoriously privileged. Humans have this wonderful capacity for imagination. Many of us use our imaginations to picture ourselves in more appealing circumstances. I do this with all the cake I can’t eat for example! This is a human strength, unless of course we start to actually believe our fantasies are real. I think people actually start to believe they know the celebrities or the aristos they become obsessed with, they are part of them. This is a rather slavish mindset and it bugs me too. So many good points, Cindy. I agree with you. In many ways we seem to have completely lost a grip on reality. And the ‘reality’ we do recognise is divisive and poorly grasped beyond immediate circumstances. It’s irony in this age of information overload, how little wisdom comes to the surface. Certainly looks that way, Brian. Btw the UN has just this week damned Britain’s upper crust for their ongoing impoverishiment of the poor. What a nation we are. Our Senate is based on your House of Lords and they can’t do anything good for anyone but the people who give them money. I’m not trying to sound like one of the people who believe in cabals, but I swear there IS no such thing as non-corrupt politics. Not here or anywhere else. I think you’re probably right. The UK has been at for so long, much is hidden from view – so many convenient hidey holes and intricate connections, and ‘old boys clubs’, and a class system to secrete things in. Great photos. Great rant. But £50? Really? I think I will pass. I still say our American problem trumps yours. Great photos Tish. I’m with you on the rant though it affects us less here in Canada, or maybe just in less obvious ways. The term High-ness makes me chuckle. I suppose it means the rest of us are lownesses. And yet I’d still love to see Chatsworth for it’s sheer OTT golden beauteous ostentation. You had me at that one interior shot. Many thanks Alison. And yes I know – the place has huge allure, and of course as you might imagine, is used quite a bit as a film location for period dramas. I guess what I’m basically objecting to is paying to worship at the altar of overbearing opulence, which somewhere a long the line, ordinary mortals paid for. These days, the rich also seem to be sucking money out of those who can least afford it. E.g. it came out recently that the UK woman who developed an on-line betting company – an industry that anyway wrecks the lives of thousands and especially of young people here – paid herself £217 million last year and sees it as a fair cut of her company’s £525 million profit. Wow! That woman! people have lost the plot I think. And yes, ordinary people have *always* paid for overbearing opulence. It’s shameful. I totally agree with your rant. Until your previous article I didn’t know how self-aggrandising the Chatsworth clan are. It is nauseating. Your conversations about the NT are really interesting too, and echo my thoughts. My favourite NT interiors have been the modest properties, the modernish ones, and those where you can touch and play. Your photos are beautiful. I love the glass baubles especially. Thanks, Ali. I’m sure Chatsworth Inc think they’re doing all in ‘the best possible taste’. And in telling the history of the house, there are a few stabs at inclusiveness with tributes to past and present craftsmen and workers – you know, NT style. And I daresay they are giving many contemporary artists some welcome exposure. Even so, my ‘humbug alert’ keeps jangling. Also I’m not sure what the point of preserving our stately homes is, if they are not telling the true stories of the people who built them and the historical circumstances and consequences of their building i.e. who really paid the cost. It’s interesting too as one goes round such places how slave and plantation owning rarely seems to crop up. We don’t have a House of Lords in the good old USofA yet we’ve still managed to create a system where wealth and class control the society we live in, often against our best interests. The gap against ‘have’ and ‘have not’ is ever widening with the ‘haves’ seeming to take a decreasing increase in the welfare of their countrymen and an increasing interest in lining their own pockets. Still, I am glad that you chose to showcase the beautiful side of Chatsworth through your imagery and let me remain ensconced in my own ‘numbness’ a little longer. 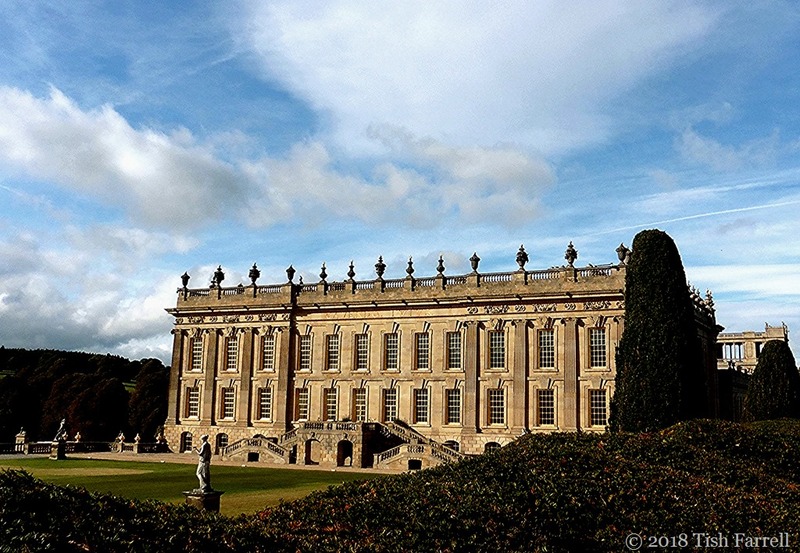 It’s a real cleft stick, isn’t it – the Chatsworth allure – leaving us caught between beguilment and dismay. I agree with all you say about the rich ruling the roost and the widening gap between them and the economically challenged. Just last week the UN issued a stinging report on Britain’s increasingly impoverished children. I mean us, the GOOD people, spreaders of democracy and civilized behaviour – heading happily back to the Age of Empire and Dickensian deprivation. (Happy sailing). Thanks for the link to the programme on country houses. Will definitely take a look. I identify with your rant. I remember visiting some such piles in the UK when I was young, and feeling mixed emotions and somehow contaminated just by being there. What to think of a huge collection of Faberge eggs for example? But I did like the big open spaces, even if nature was super-managed, domesticated, clipped,pruned and landscaped, and thoroughly put in its place. Thanks, Carol. You’ve summed up many of my feelings here. Fifty quid!! Good to know they probably won’t have to go into debt to gild all those windows. Grrr. As with your previous Chatsworth post, I find myself in agreement with you Tish. From the perspective of a colonial, what I find so depressing is that here in NZ, we seem to be developing the same culture of wealth and celebrity reverence (albeit it, not based on heredity— yet). In a country that was settled by people from the UK escaping the bonds of their class system. A country that used to have bugger all inequality and a fabulous, robust welfare system. I too have become a grumpy old woman — a badge I wear with some pride. Grumpy old women together then. Have just watched the UN human rights rep’s (Prof Philip Alston) report on the state of UK poverty. It is shameful. I think I shall post it tomorrow. 14 million in poverty – one fifth of the population. And we’re all being distracted with Brexit nonsense – which will make the lot of the poor even worse. I’ve seen reports of the report, but had no idea it was THAT bad. I worry about my mother and siblings in the UK, and even more my nieces and nephews. It is indeed worrying. I’ve posted the video and the whole statement. The present government appears to be shame-proof. A spot on and appropriate rant that kind of makes me embarrassed for our nation. Did you hear about the National Trust ground rent debacle? A friend of mine lives in a cottage they own, but on land leased by the NT. Land rent was in the region of £200-300 a year, but then the NT said they were going to raise the cost to around £4000 a year, for their particular home, and similar percentage increases nationally. They’ve back tracked now, but for several years it was a huge worry for many people, almost like having a second mortgage to pay. https://www.thirdsector.co.uk/national-trust-abandons-plan-led-huge-rent-rises-tenants/finance/article/1460574 At the other end of the spectrum, the Earl and Countess of Devon are working hard to stop their inherited Powderham pile decaying any further and are very involved with the local community. Yes, I did hear about the NT rent business, but at least they backed down and were open to negotiation. I think estate owners working with the community sounds a positive idea, especially if the community can benefit directly from having a stately home on its patch. 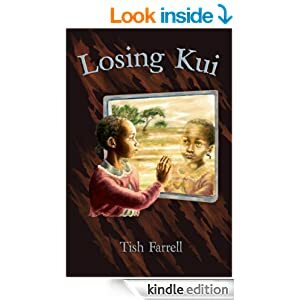 Tish, thank you for sharing this story and beautifully captured scenes. Sorry you had to pay 50 pound to see it. Hello, Paula. Lovely to hear from you. I think I had my money’s worth with the good rant it provoked. And there’s no denying its fabulous setting.